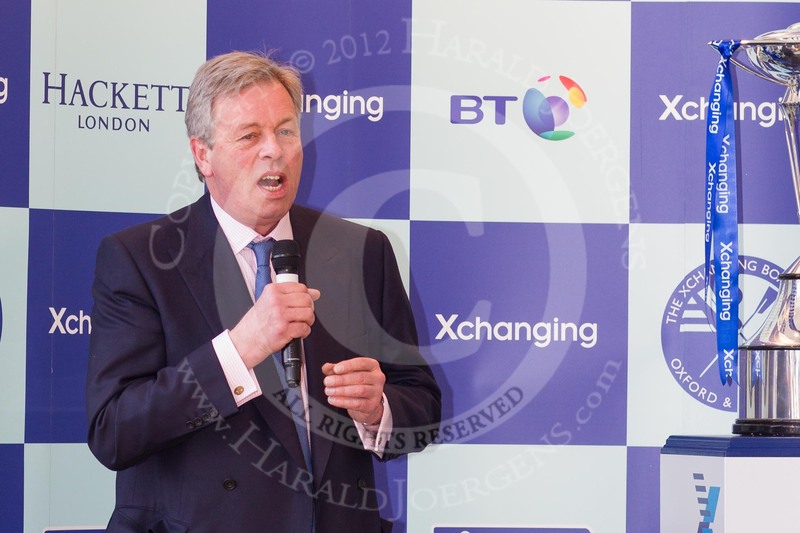 With kind permission by the Boat Race Company Ltd. 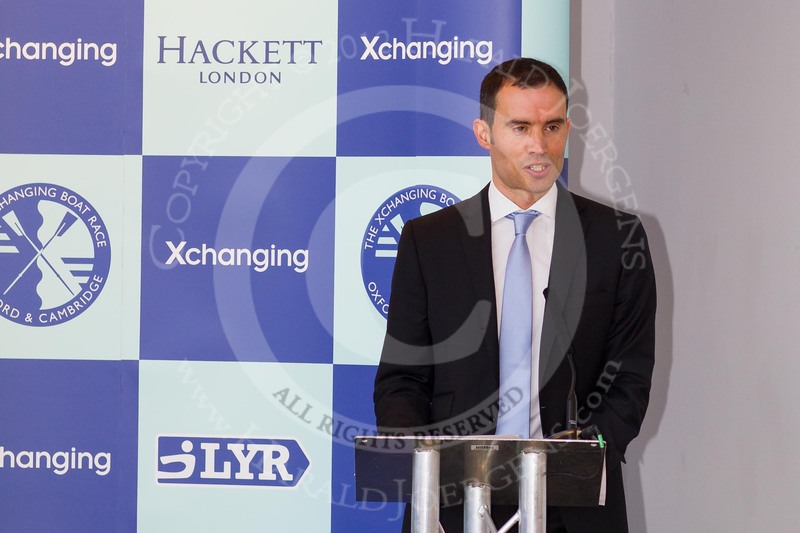 The official crews for The 2012 Xchanging Boat Race were announced today at Forman’s Fish Island, just a stone’s throw from the London 2012 Olympic Stadium. 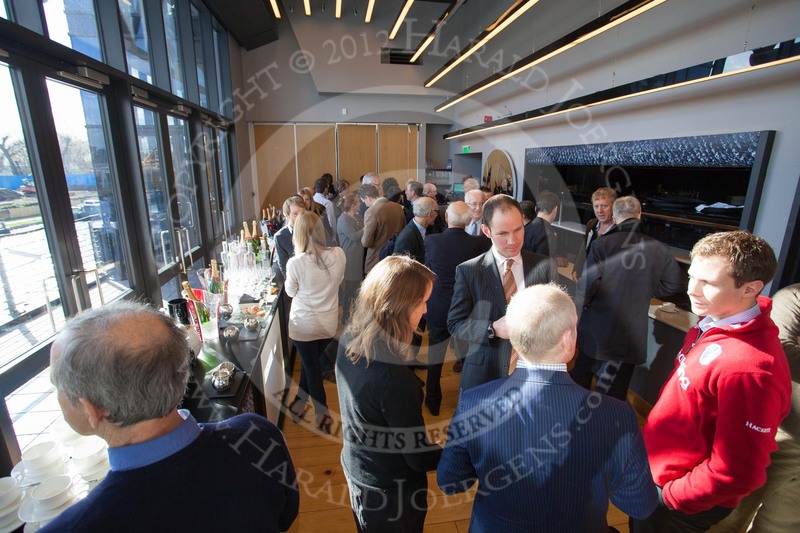 The 158th Boat Race on 7th April will see oarsmen of six different nationalities competing, as the older, more internationally experienced crew from Oxford take on the younger, heavier Cambridge eight. 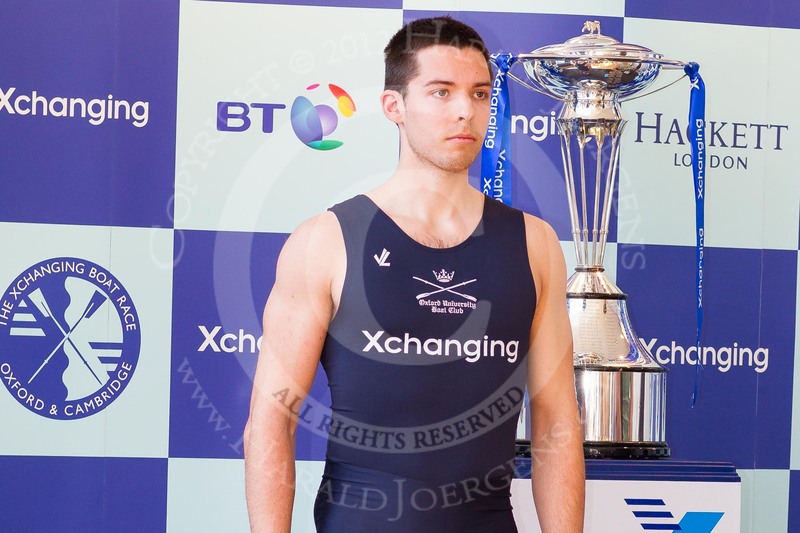 This year will be the first time for Cambridge and only the second time ever in Boat Race history that the crew will feature only one British oarsman, returning Blue undergraduate Mike Thorp. The only other time this has happened was in 2007 when Oxford President Robin Ejsmond-Frey was the sole Brit in the crew. The rest of the Light Blue crew this year is made up of three Americans, two Australians, and individuals from Germany and New Zealand; and they will be coxed by British first year undergraduate, Ed Bosson. 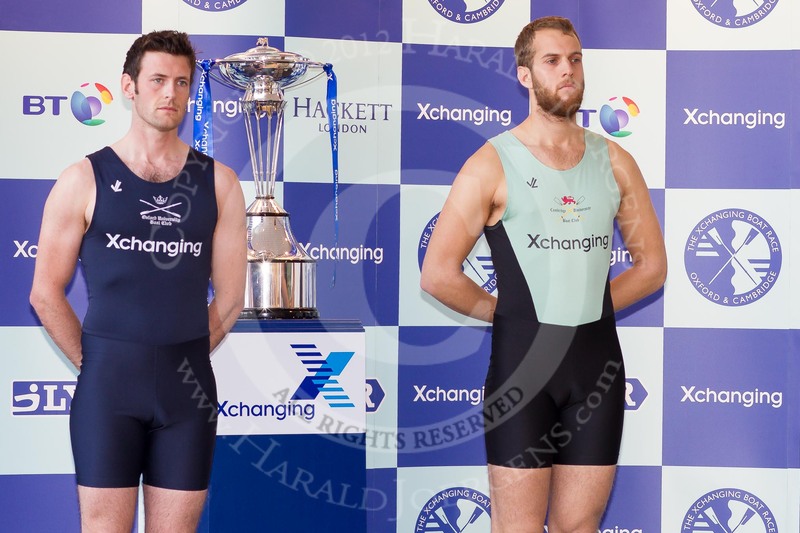 Alex Ross will be only the ninth New Zealander to ever have raced in The Boat Race, and will sit in the 7 seat for Cambridge, the same seat in which the last Kiwi to compete, George Bridgewater, rowed in a victorious Oxford crew in 2009. 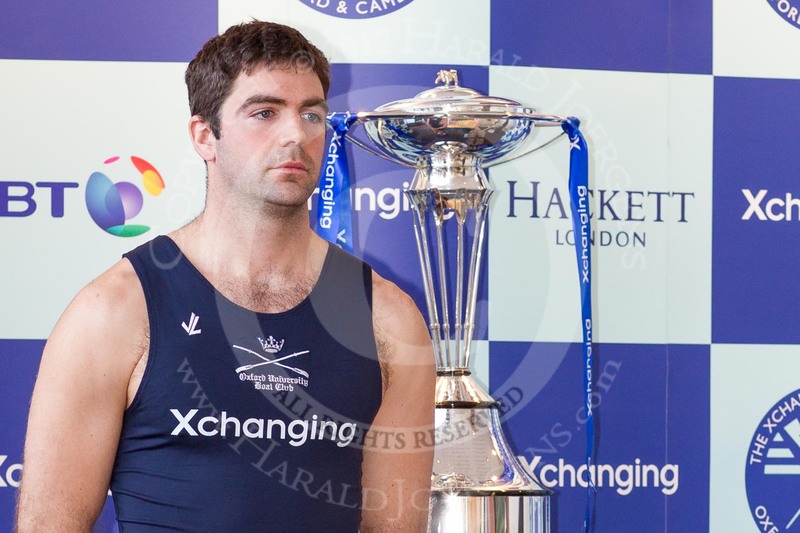 Steve Dudek, rowing at 6 for Cambridge, will be the heaviest man in the Race this year, weighing in at 109.6kg – only 1.2kg of the heaviest oarsman record set by Cambridge’s Thorsten Engelmann in 2007. 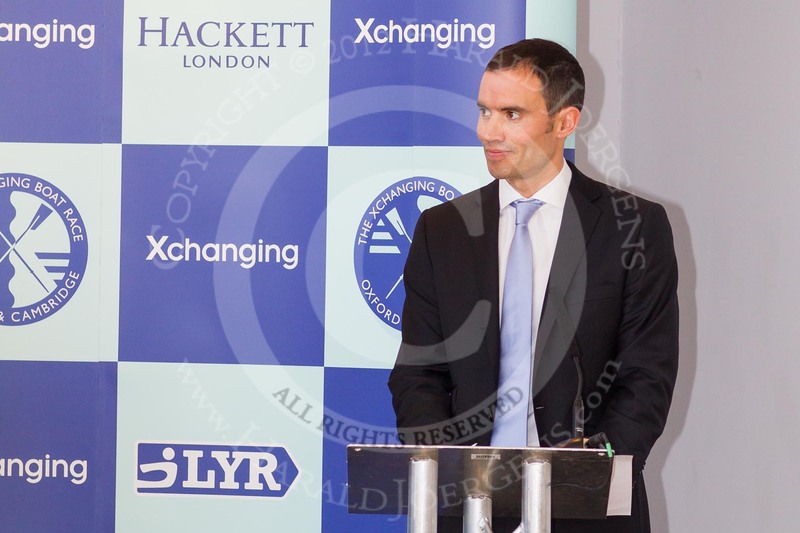 The crew from Oxford will include three former Lightweight rowers, and is made up of five Brits, two Americans, and individuals from Germany and the Netherlands. The Dark Blues will be coxed by Brit Zoe De Toledo. She will be the first woman to cox Oxford since 2000 when Kajsa McLaren coxed Oxford to victory. If Zoe wins this year, she will be the third winning cox in a row to hail from a St. Paul’s School, although from the Girls’ School this time. 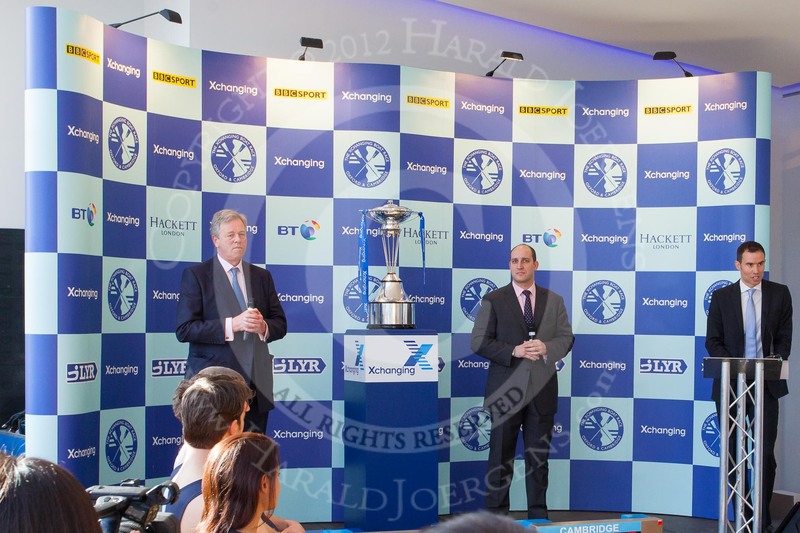 This year will also see the fewest returning Blues since the last Olympic year of 2008, as Dark Blue President Karl Hudspith aims for his second Boat Race win retaining the Oxford 5 seat, and Light Blues, President Dave Nelson and Mike Thorp, look to seek revenge for last year’s loss. Two rowers from each university have made the step up from the Isis Goldie Race to get their Blues this year – Alex Woods and Dan Harvey from Isis, and Alex Ross and Moritz Schramm from Goldie. The two strokes are Dutchman – and oldest athlete in this year’s Race - Roel Haen and American Niles Garratt, both of whom have competed internationally for their countries. 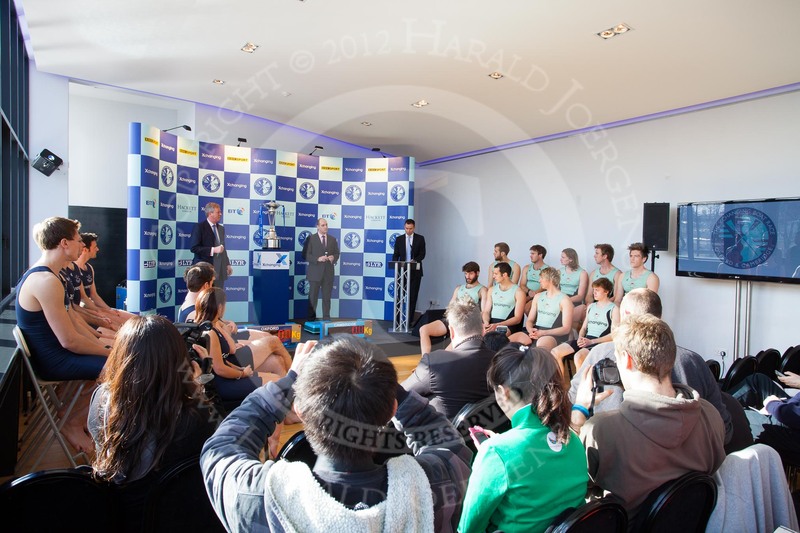 Roel will be the first Dutchman to ever stroke a crew in The Boat Race, and only the third Dutch athlete to compete. He competed in the World Championships for the Netherlands in 2005, 06 and 07. Niles rowed for the USA in last year’s U23 World Championships. 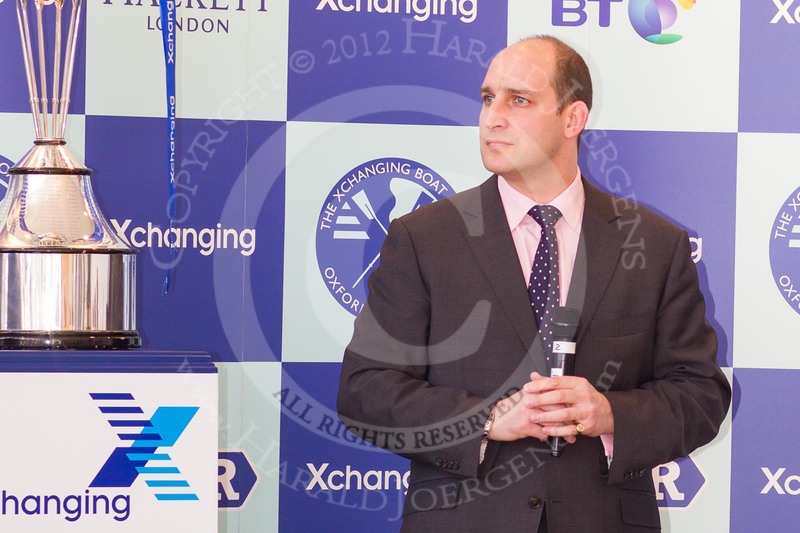 Four of the athletes competing this year learnt to row at their colleges at Oxford or Cambridge. Alex Woods and Dan Harvey for Oxford, and Alex Ross and Moritz Schramm for Cambridge all noviced in their first years at the universities. 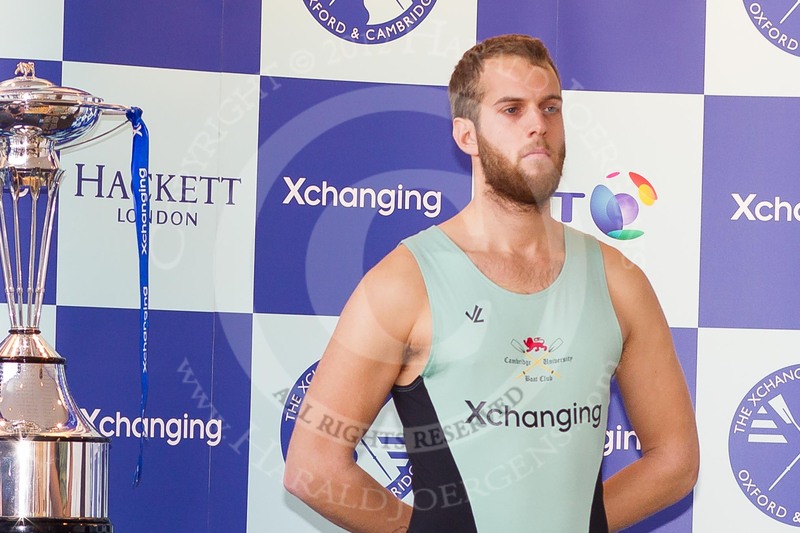 Cambridge weighed in the heavier this year with a total weight of 770.4kg (excluding the cox) and an average weight of 96.3kg (excluding the cox). Oxford meanwhile totalled 707.6kg (ex. cox) and averaged 88.4kg (ex. cox). This means that Cambridge average 7.9kg per man heavier than Oxford, making this the second greatest weight difference ever. The only time the average weight difference has been more was in 1990 when victorious Oxford had weighed in at 13.6kg per man heavier than Cambridge. In the last 10 years, 7 of the Races have been won by the heavier crew. However, the younger crew has only won 3 times in this same period - the average age of Cambridge this year will be 23 on Boat Race day, with Oxford older at 25. 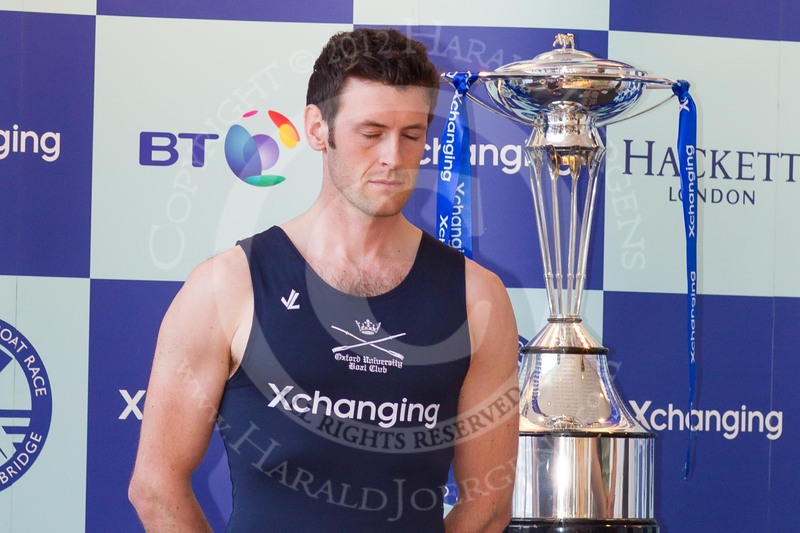 Cambridge overall have a 3cm height advantage per oarsman over Oxford, with the Light Blues measuring on average 1.95m and the Dark Blues measuring 1.92m. 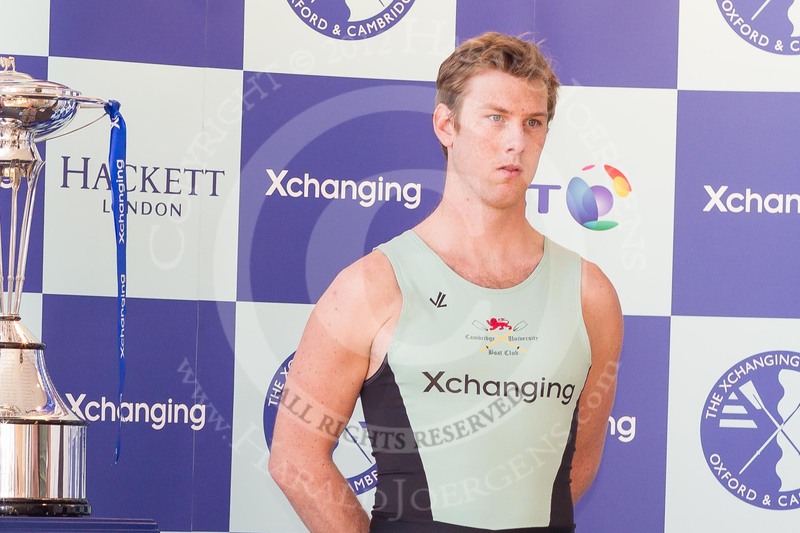 Oxford’s British bowman, Alex Woods, is the lightest crew member on either side, tipping the scales at a mere 77.8kg.The two coxswains Zoe de Toledo and Ed Bosson weighed in at 49.6kg and 55.6kg respectively. Zoe will have to carry additional weight in the boat on Race day to reach the minimum requirement for coxswains of 55kg.